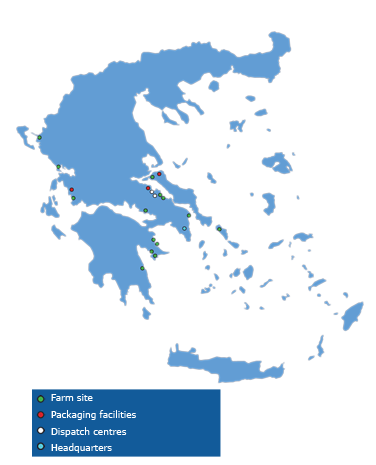 Facilities | Hellenic Fishfarming S.A. The Group has state-of-the-art and well organized units, which are managed by a strong vertical business operations system. The Group’s facilities include hatchery stations, on-growing and fattening units as well as packaging plants. The advantages of each farmvary depending on the region they are located and their activity so that top product quality is always achieved.